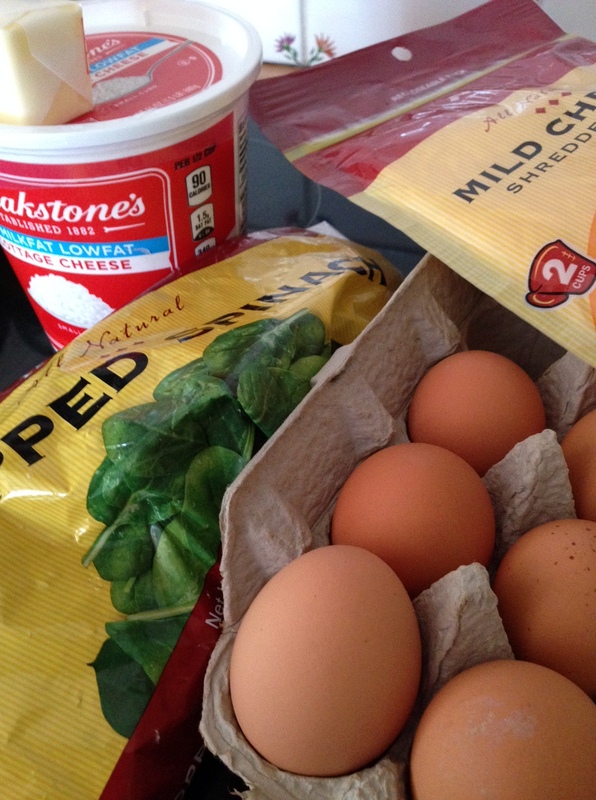 Quick Fix: Anytime Egg Bake – Fix. Serve. This is not a food blog. Rather, it’s a blog which promotes the belief that through sharing food, we can build better relationships and ignite new ways of connecting with people. Which leads me to occasionally share food I make because I can never pass up a chance to espouse my enthusiasm for eating! 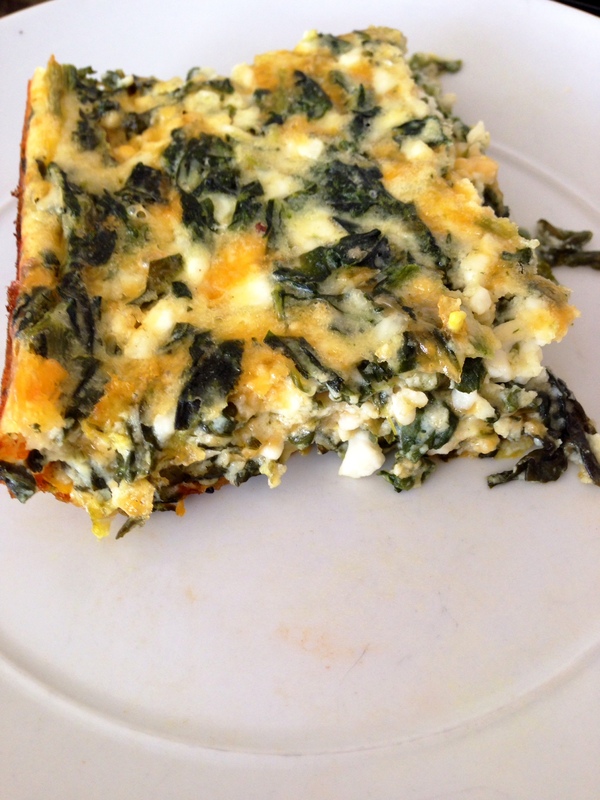 This egg bake has been a staple in my family for well over a decade. The recipe came from my mother and I think she got it from her mother. It’s one of those that is hand written on a card and I have no idea where it originated from. It has a core set of just five main ingredients and no chopping (that’s a deal breaker for me) which makes it the perfect recipe in my book. And most importantly, my kids devour this. They have been eating this since they started solid foods. When they would go through phases of being picky, I turned to this because it boasts protein, dairy and vegetables in one. This is an incredibly forgiving recipe. I have made it and accidentally left out the butter, or the flour and it still turns out edible. I have also accidentally left it in the oven and found that it’s really good when it’s REALLY brown and overcooked! 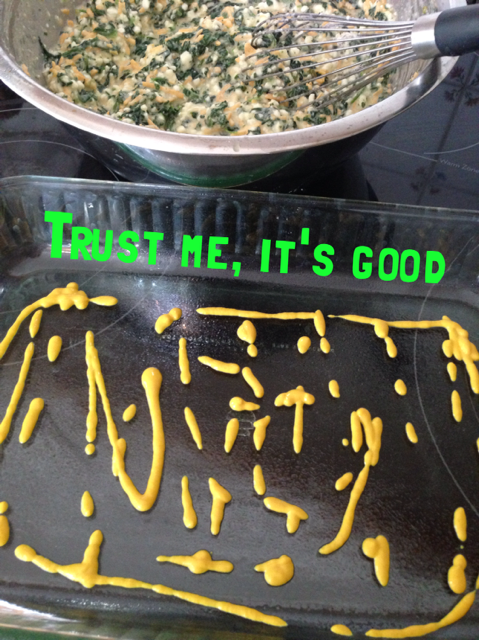 Don’t turn your nose up at the step that suggests putting a light drizzle of yellow mustard on the bottom of the pan. You don’t have to, but I swear it gives it a little punch of flavor that works. You can make it a day ahead of time by baking it until it’s not quite done, about 30 minutes, and then put it back in the oven the next day to brown. Give it a go this weekend! I hope you enjoy it as much as we do. 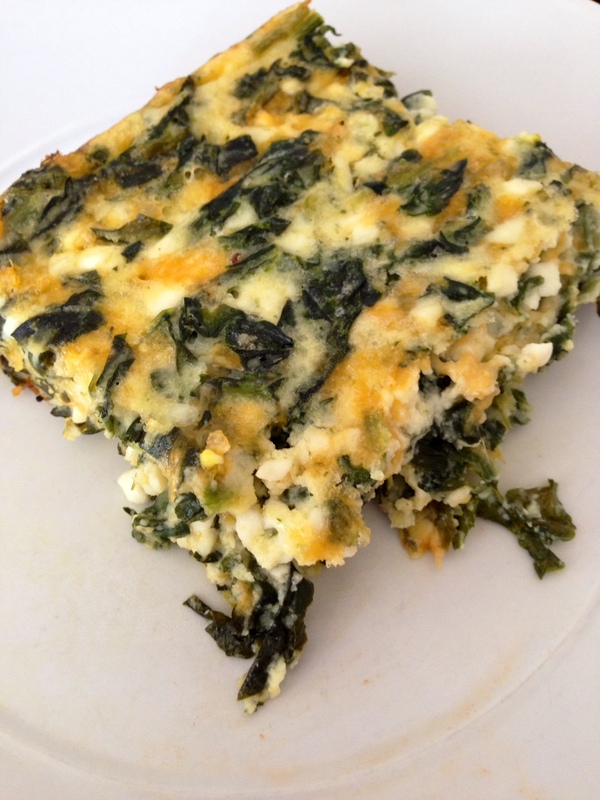 In a large bowl, beat the eggs and then mix in cheddar cheese, cottage cheese and chopped spinach (drained well). Add 5T of flour, melted butter and salt and pepper to taste. Place mixture into prepared baking dish and bake at 375 for 35-45 minutes until the edges and top begins to brown. 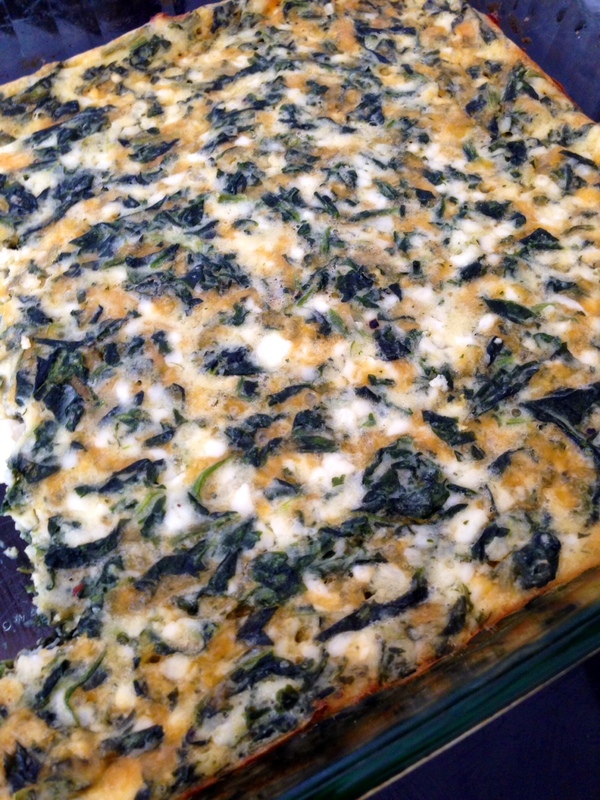 Serve warm or cool to room temperature and keep in refrigerator for up to three days. Enjoy! This looks yummy – plus no carbs for diabetics!